Families looking for assisted living in New Hampshire (NH) have a wide array of communities to choose from, since estimated that there are more than 30,000 assisted living communities serving seniors across the U.S., and over 72 statewide. The state is also home to a rapidly growing number of senior citizens, with adults over 65 making up an estimated 17.6 percent of the population. A resident in an assisted living community in New Hampshire will pay $4,855 per month on average. As of 2018, our family advisors have helped more than 1,645 families in New Hampshire find the right assisted living community. 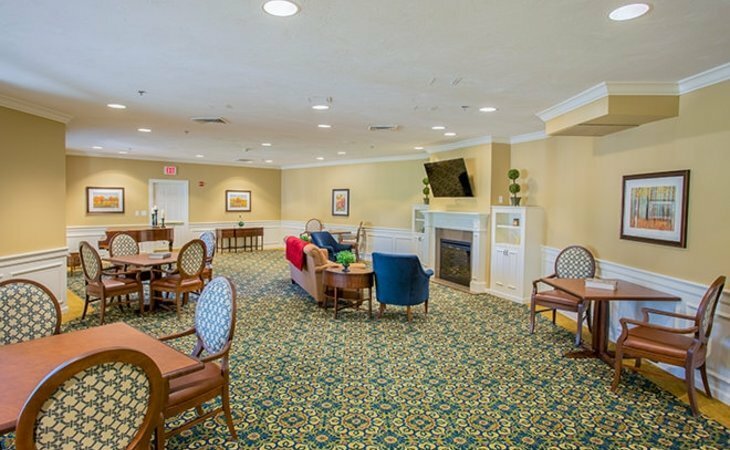 See more than 228 authentic verified reviews of assisted living communities across New Hampshire from residents and their loved ones. Browse our comprehensive directory of more than 72 assisted living communities statewide for photos and information about amenities, costs and more. 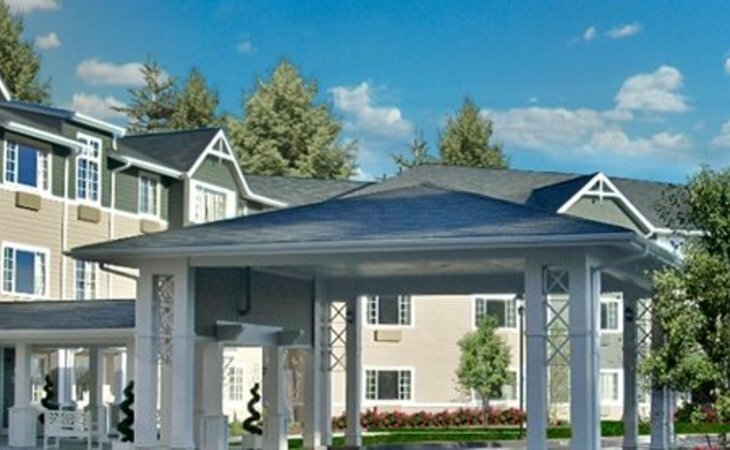 Genworth lists the average cost of a private, one bedroom unit in an assisted living community in New Hampshire as $4,815. This places New Hampshire on the higher end of the scale at about $800 over the national average, and about $100 lower than the median cost of assisted living in nearby states. When estimating the cost of assisted living, it's important to know that average prices can differ significantly between various parts of New Hampshire. The most affordable region in New Hampshire for assisted living is Rest of State at $4,217. adult residential care services include things such as meal and homemaker service, personal care, nursing care, socialization, transportation and other licensed facilities. Many assisted living communities are located throughout the state – from busier areas around Nashua and Manchester to farther north in more rural communities near Concord, Laconia and the Lakes Region. Some assisted living communities offer specialized memory care services for individuals with dementia or Alzheimer's. New Hampshire offers an online resource center for seniors called ServiceLink, a resource that helps seniors and other individuals make connections to long-term service and support systems throughout the state. In New Hampshire, low-income seniors can apply for financial assistance through the Old Age Assistance program. This is a statewide program funded by the Department of Health and Human Services that provides cash assistance to residents age 65 or older. Eligibility for OAA depends on a number of different factors, including income, resources and living arrangements. It's available for residents of New Hampshire age 65 or over who are also U.S. citizens. For more information on applying for financial assistance in New Hampshire, visit the How to Apply for Assistance page on the DHHS website. Medicaid is a joint federal and state public assistance program for financing health-care for low-income people. The largest public payer of long-term care services, Medicaid pays for health services for those with low incomes or very high medical bills. In some areas, Medicaid may be available to help offset the costs of assisted living. Medicaid benefits and eligibility requirements also vary by state. To qualify in New Hampshire, your income has to fall below a certain level. For more information about Medicaid benefits in New Hampshire, you can consult NHCarePath. In New Hampshire, to apply for Medicaid benefits, you can download an application form at the Department of Health and Human Service's Family Assistance division. You'll want to look for Form 800 specifically to apply for Medicaid benefits. IMPORTANT NOTE: Not all assisted living residences accept payment from these programs. Always check with the assisted living community you're interested in about which forms of payment they will accept, as well as any reduced rates offered for low-income residences. Individual communities may offer their own forms of financial assistance. There are a number of government-funded agencies and nonprofit organizations in New Hampshire that offer free assistance to older adults and their loved ones searching for long-term senior care. These organizations can help you better understand the different types of senior care available, any financing options and what your senior loved one may qualify for, especially if they are disabled, a U.S. veteran, low-income or the spouse of a veteran. Area Agencies on Aging (AAA) is a network of more than 600 organizations throughout the United States providing federally funded services to adults in local areas. Depending on which area of New Hampshire you live, there are numerous services available that provide information about long-term senior care options, case management, health insurance counseling and help with low-cost meals and transportation. As in every state in the United States, VA centers can be found in New Hampshire and can assist military veterans and their spouses with finding and financing assisted living care. They can also help you and your loved ones understand what types of care options are covered under any VA benefits they currently receive or might be eligible to receive based on their military service. Another federally operated source for seniors is within New Hampshire's social security offices. At one of many locations throughout the state, seniors can get assistance with understanding their social security benefits, which some seniors may be able to use to help pay for assisted living. New Hampshire has a set of assisted living regulations and policies that all assisted living communities statewide must follow. Below are some of the key state regulations in New Hampshire for assisted living communities that may be helpful to know. Residential care facilities (RCF) that provide a lower level of care. In New Hampshire, both assisted living categories require that residents be assessed by a trained assessor with a DHHS-approved assessment tool. Assessments must be repeated twice a year or when there is a change in the resident’s condition. These assessments are used to help develop the resident's care plan. There are no statewide requirements in place for admission. Admission guidelines vary by assisted living community type, whether SRHCFs or RCFs. For ALR-supported residential health care communities, facilities may only admit and retain individuals whose needs they can meet and who can evacuate in accordance with the state fire code. Assisted living residencies with the appropriate staff may admit or retain individuals who require medical assistance to transfer. Those who require 24-hour nursing care or monitoring for less than 21 days may be admitted as well to an assisted living community, as well as those individuals receiving hospice care. For ALR-residential care communities, they may only admit and retain individuals whose needs they can meet. For instance, in these assisted living communities, residents must be capable of evacuation without assistance. Residents requiring rehabilitation or nursing care longer than 21 days must be discharged to another facility (or hospital) that can meet their medical needs. The one exception are those residents receiving hospice care. The scope of care for individual assisted living residents in New Hampshire varies based on the community type. ALR-SRHCFs' services include the supervision of residents with cognitive deficits, health and safety services, personal care (including grooming, bathing, bathroom assistance), emergency response and crisis intervention, medication management and social/recreational activities. There also may be assistance with arranging medical and dental appointments off-site. 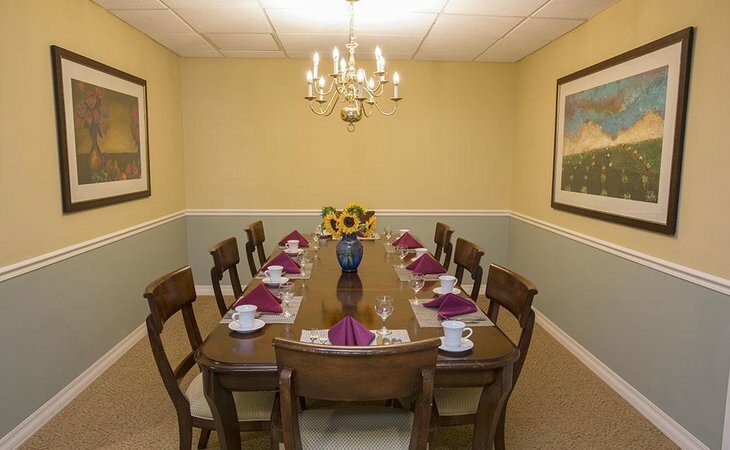 These types of assisted living communities typically provide access to nursing services as well. ALR-RCFs, on the other hand, provide a lower level of care for residents with less acute conditions or who need less assistance from staff. Services may include the supervision of residents with cognitive limitations, arrangement of appointments, crisis intervention, supervising activities of daily living, medication services, provision or arrangement for transient medical care with licensed home health providers, and assistance with accessing community services. Some assisted living communities accept Medicaid as a form of payment from prospective residents. Some assisted living communities in New Hampshire may accept Medicaid to cover individual services, but may not cover the cost of room and board expenses. The Old Age Assistance (OAA) benefit may also help offset some assisted living costs. It's important to check with individual assisted living communities to find out about what forms of financial assistance they do accept. In New Hampshire, unlicensed staff can administer medication to assisted living residents, but they have to undergo specific classroom training so they can learn the correct ways to administer medication. New Hampshire requires them to be trained by an on-site health care professional. residents can self-direct medication administration if their physical condition prevents them from self-administering, and they can verbally direct staff members to assist them. It's important to note that in these types of facilities, staff may not physically handle the medication. However, unlicensed staff may administer oral medications if they've been delegated to do so by a licensed nurse. In assisted living residences-residential care communities, residents may give themselves medication with or without staff supervision or may self-direct medication administration. Medications must be administered by a licensed nurse, a medication nursing assistant or any other individuals authorized by law. There are no minimum staff to resident ratios in New Hampshire. The administrator of the assisted living community is responsible for determining appropriate levels of personnel based on the facility's size and the service needs of its residents. NH law does state that at least one awake staff must be on duty at all times, except for facilities with eight or fewer beds that are equipped with an electronic communication system, an installed wandering prevention system (for facilities that serve residents with dementia) and the ability to meet residents' needs at all times. The same staff requirements listed above apply to ALR-RCFs as well – they require a full-time administrator, direct care personnel and a licensed nurse. However, the full-time administrator must be employed at least 35 hours per week. Both types of assisted living communities in New Hampshire require that administrators complete 12 hours of continued education each year that includes assisted living-related topics such as the resident plan of care, characteristics of different disabilities residents may have, nutrition, basic hygiene, dental care, first aid, medication management, dementia and aging, among others. Before starting work, personnel must receive orientation and training within a week of hire that covers topics such as residents' rights, complaint procedures, duties and responsibilities, emergency and evacuation procedures, infection control, mandatory reporting requirements. Continuing education must be provided annually for personnel that reviews the topics of residents' rights, infection control and emergency procedures. Both licensed assisted living types require that each staff member go through a criminal records check, obtained from the New Hampshire Department of Safety for all applicants for employment. Their qualifications must be reviewed prior to employment. Anything that otherwise poses a threat to the safety and well-being of assisted living residents. The New Hampshire Department of Justice has a comprehensive resource for administrators and assisted living personnel to report signs of elder abuse, and they supply many resources for recognizing the signs. All assisted living staff members are trained to recognize and report cases of abuse or neglect. Reports can be filed any time by contacting the Bureau of Elderly & Adult Services at 603-271-7014 or toll-free 1-800-949-0470. You can also call your local County Attorney's Office.